Economic Coordination Committee (ECC) in its meeting held on 2nd October, 2014 and subsequently Cabinet in its meeting held on 23rd February, 2015 approved the “Gwadar-Nawabshah LNG Terminal and Pipeline Project” in principle as an Alternative Strategy of Iran-Pakistan Gas Pipeline Project. Authorized ISGS to execute the implementation of the project and directed the Ministry of Petroleum. Building of Gwadar-Nawabshah pipeline is the first step towards establishing an energy corridor. The LNG facility at Gwadar could cater for the needs of the public and private sector. Under the project, a 700 km pipeline of 42 inch diameter would be laid along with two compressor stations. 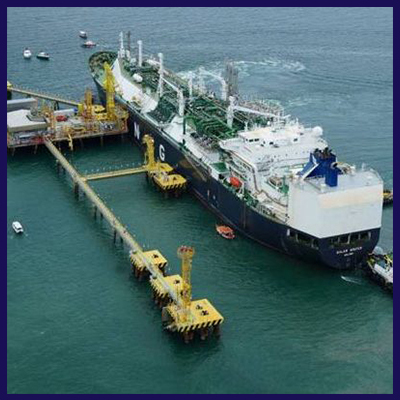 The LNG terminal will have the capacity to handle up to 500 million cubic feet per day (mmcfd) of natural gas. A 70 km long pipeline will connect the LNG terminal with Iran.